These super simple crochet flowers are fabulous on your hair, on a bag, hair clip or hair band or to personalize your wardrobe. 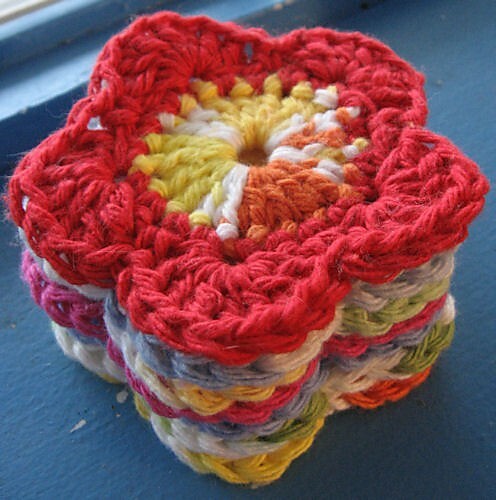 Great way to use up scraps and each flower may take you from ten minutes to make to an hour, depends on how crochet skilled you are. Before you know it, you’ll have a cute little flower! 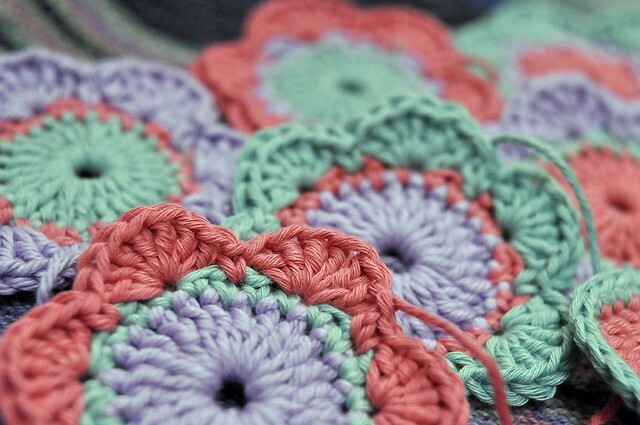 …or flower applique, or small coaster if you’re so inclined! These are great for little makeup-remover pads. Needs a very small amount of yarn. Hook size is up to you. I used a 6mm hook on mine, but I crochet very tight. Thanks to Marte Fagervik for this article inspiration and featured image. A very quick and easy flower.